I was the first one to arrive. I was too early actually. 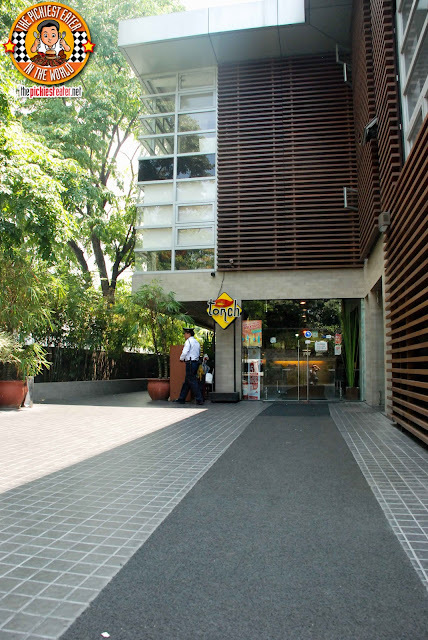 But there was one parking slot left on the front of the building so I took it immediately. 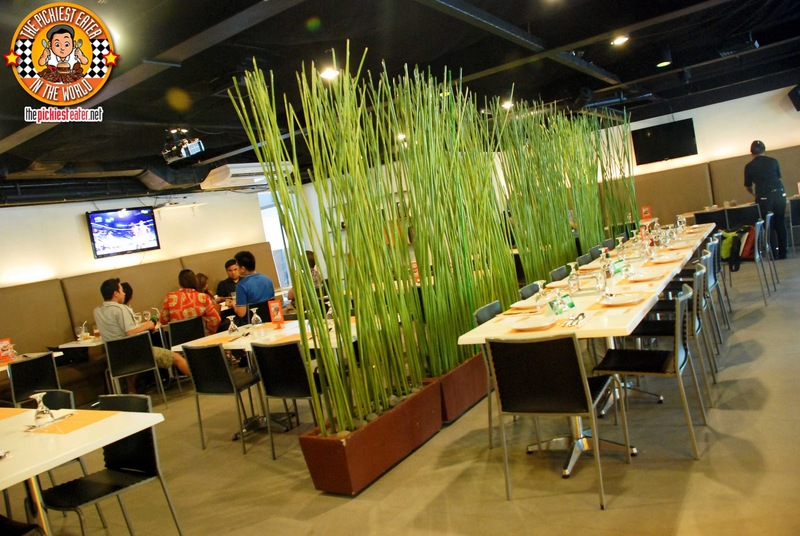 The place had a Zen vibe to it which I liked. And there was an al fresco area on the side with high tables and bar chairs. Sorry forgot to take a photo of that area hehe. A young looking guy approached and welcomed me. Honestly I thought he was part of the marketing staff of Torch that organized the event. He was so nice and very approachable. Then he introduced himself as Mike Chua. Mike Chua? He’s the owner! It’s just nice to see young entrepreneurs like him so down to earth! 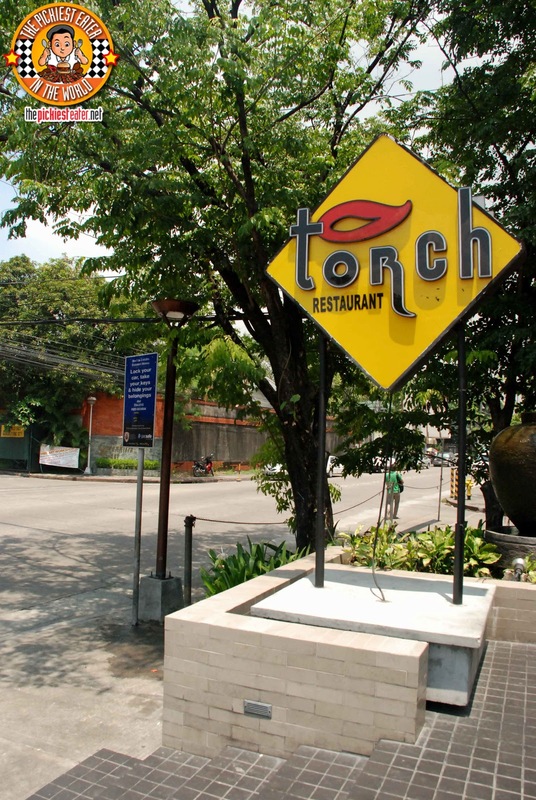 He also does the food development of Torch, and funnily enough he majored in Sociology hehehe. Mike Chua (Owner) and Dappy San Juan (Marketing Consultant) sat down with me and we just started having a good chat about different stuff until the others arrived. 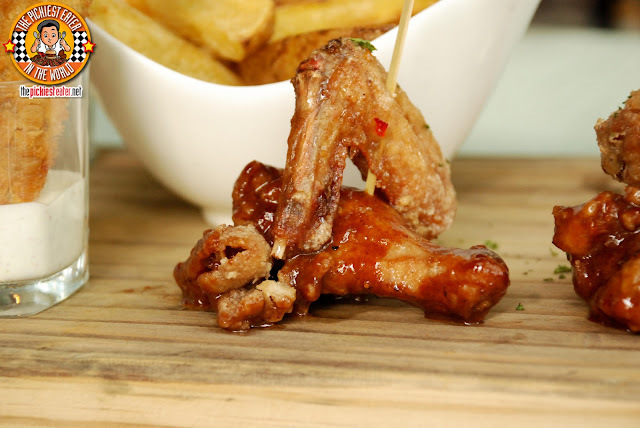 The beautiful food started flying from the kitchen and the guest got their paparazzi modes on! This is Torch’s new Dragon Sangria (P899.95). And it is no doubt the prettiest and most delicious sangria I have ever had! The reason why I like it so much is it’s lightness. The flavour of the white wine is not strong at all. But if you’re a wine lover you might find this a bit too light? 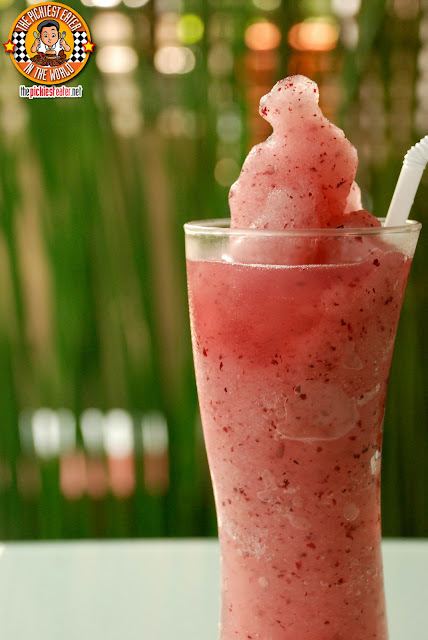 Anyway, it’s also filled with chunks of fresh dragon fruits and guava that’s a delight to munch on. 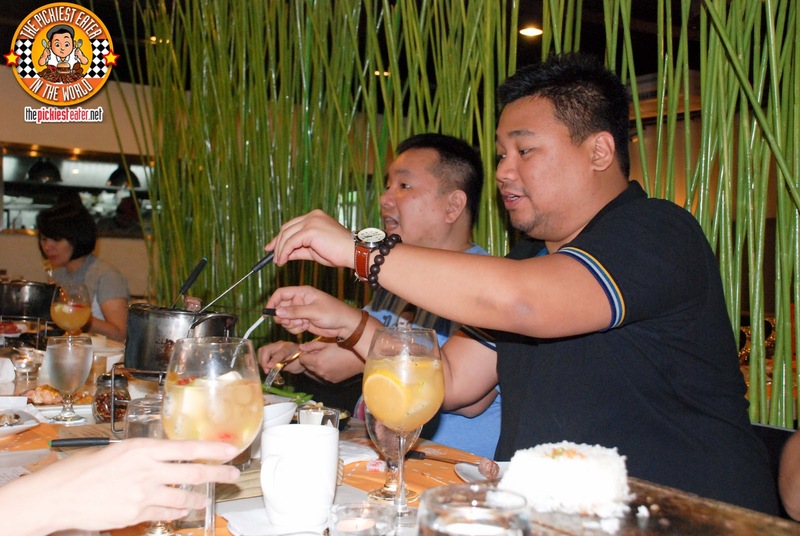 We all were actually starting to fork the fruits out of the glass hehe. 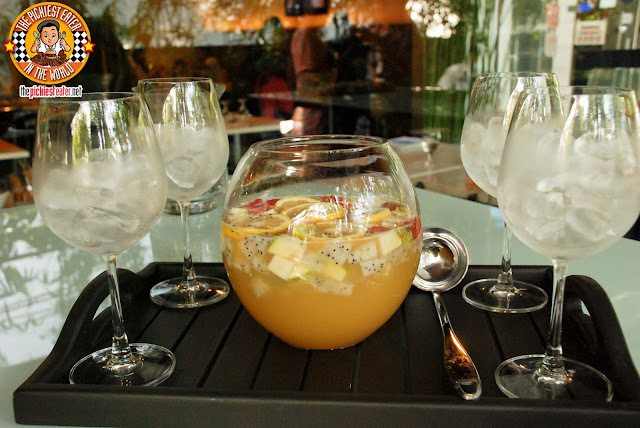 They serve it in a bowl instead of a pitcher, with 4 wine glasses with lots of ice! Definitely perfect for a hot day! This grape shake was ordered by one of my friends. He says it’s really good! 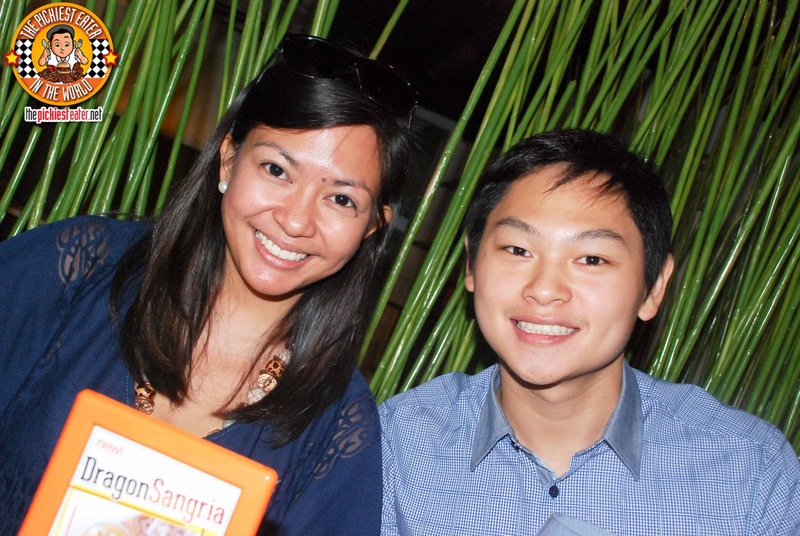 I was supposed to try it too but I was too full from the Dragon Sangria hehehe. I just wanted to post it here because I think it’s a nice picture hehehe. 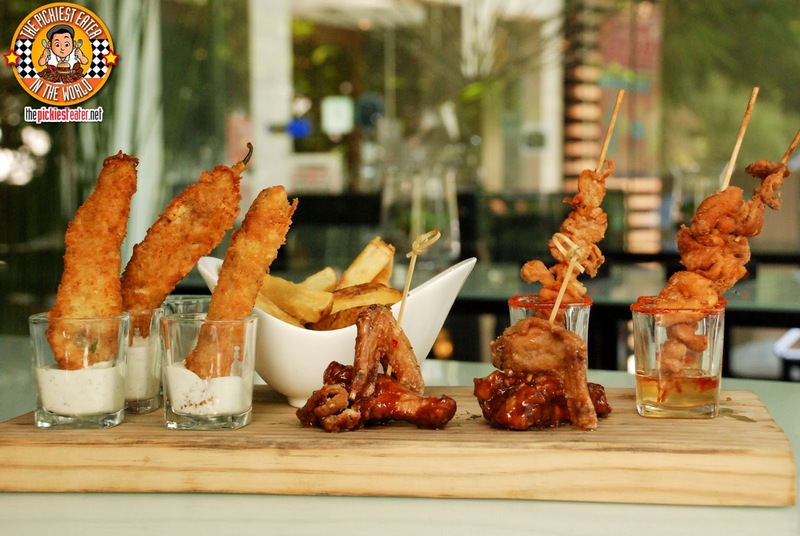 The place was filled with “oooh”s as soon as the Appetizer Sampler (P495.00) arrived. It is a number of deep fried golden brown stuff beautifully arrangedin a wooden chopping board with sauces. The Chili Cheese Crispers (P298.95) was good but the chilli was too hot for me. I guess I bit into a seed or something, because everyone else seemed to handle it just fine and was actually enjoying every bite. Why wouldn't they? 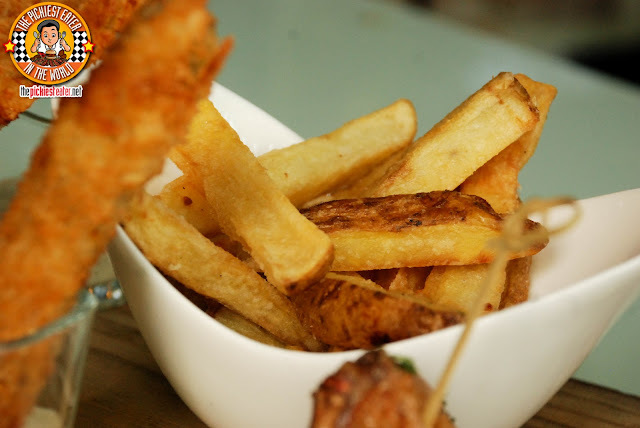 It’s breaded and fried green chilli stuffed cheddar cheese and chilli con carne! The Buffalo Asian Wings (P324.95) was more up my alley. In the description it says spicy but it was nothing I couldn't handle. 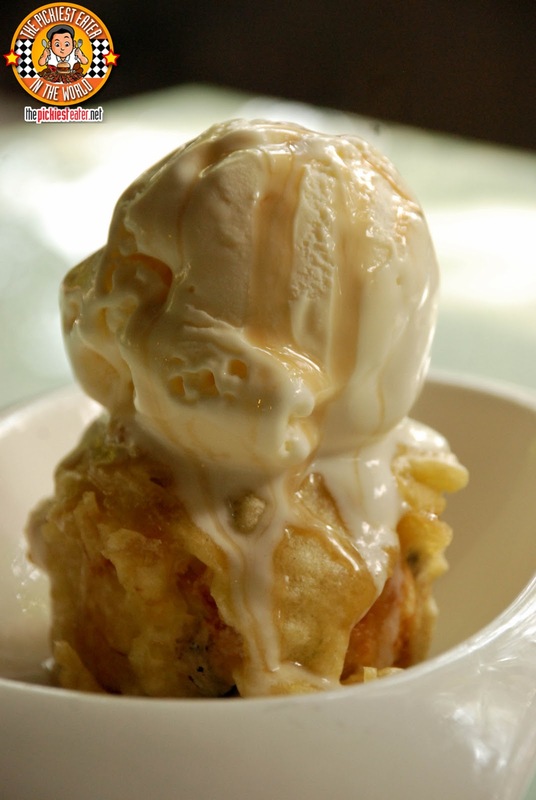 The balance between the heat and the sweetness was just right. for me was the star of the platter! I mean who doesn’t love chicken skin? Judging from the name, you know it’s something special. 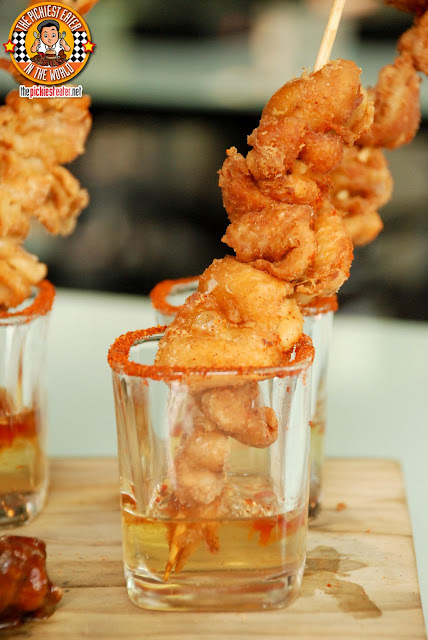 They’re deep-fried chicken skin marinated in tequila lime flavors! It really works! 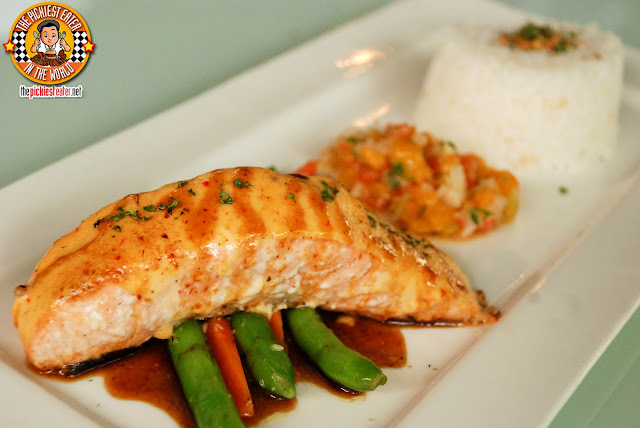 I would love to eat this with garlic rice hehe. 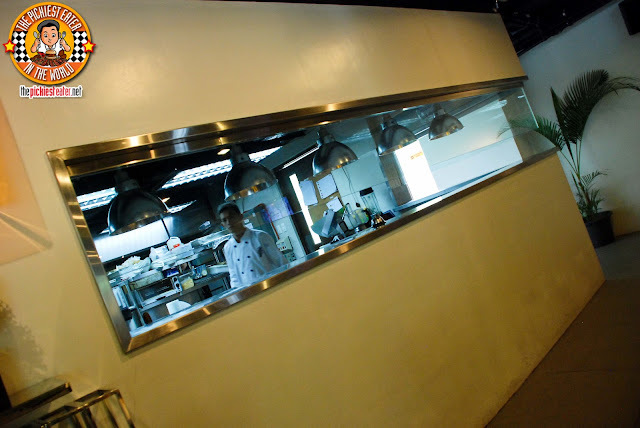 The last but not the least from the platter was the Truffle Fries (P245.95). 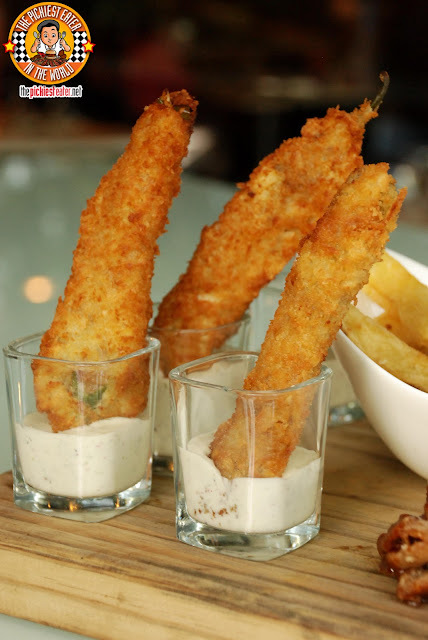 A good comfort finger food of potato fries tossed in truffle oil with their signature Torch dressing for a dip. One of their new dishes was the White Truffle Sausage Panizza (P429.95). I love truffles so it was no surprise that I enjoyed this one. Every component in this pizza, I loved! 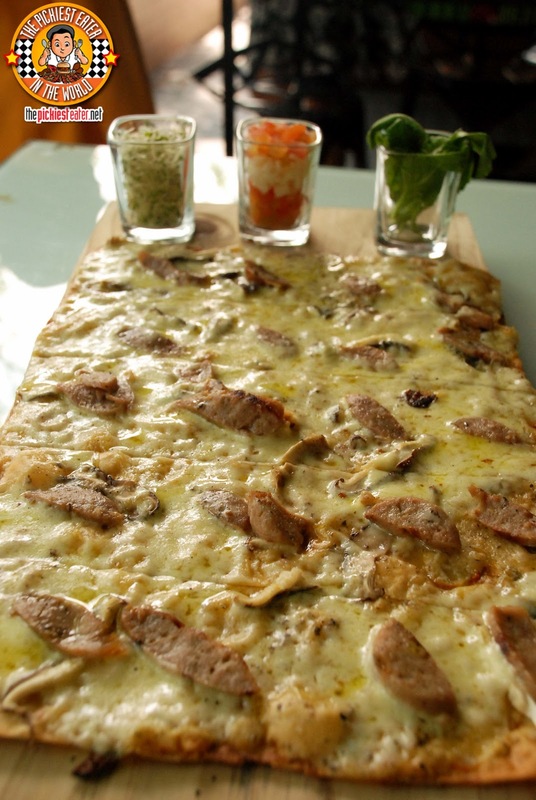 Grilled Italian sausages,white truffle oil, and mozzarella cheese. It is served with refillable alfalfa sprouts, arugula, and salsa. 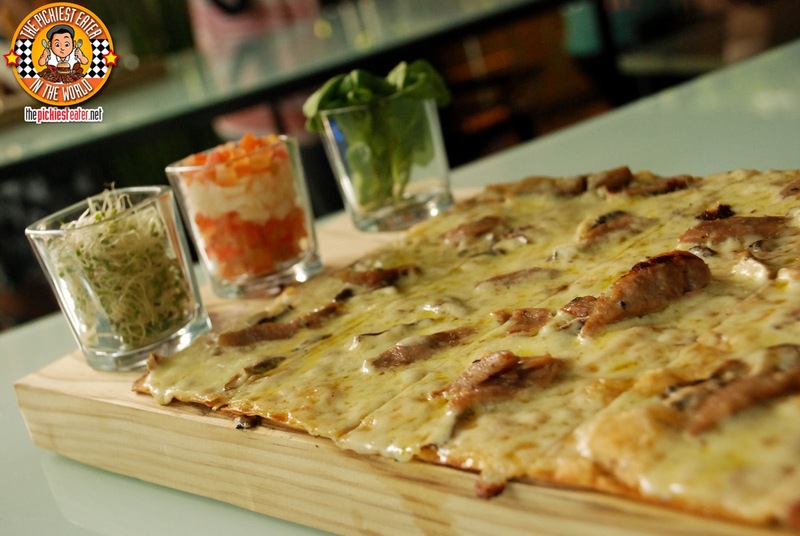 The Philly Cheesesteak Pizza (P369.95) is not one of their new dishes but is definitely one of their best sellers. Imagine the stuff found inside a Philly Cheesesteak, but instead of a bun, dump it all on top of an oven-baked thin pizza crust topped with mozzarella and cream cheese! Aaah perfection! Their Gambas Pizza (329.95) is also one of their best sellers. 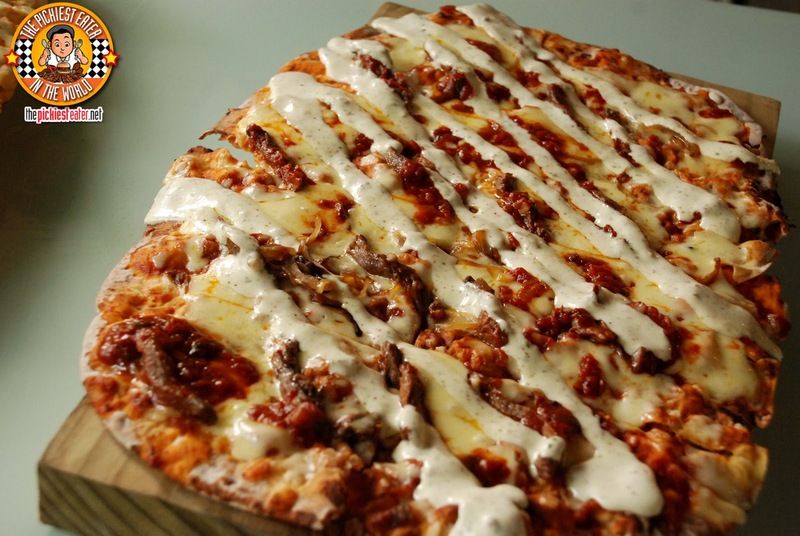 Take one bite and you’ll understand why. For some reason I could taste something barbecue-y in it which doesn’t make it taste seafood-y. Does that make sense? Hehehe. 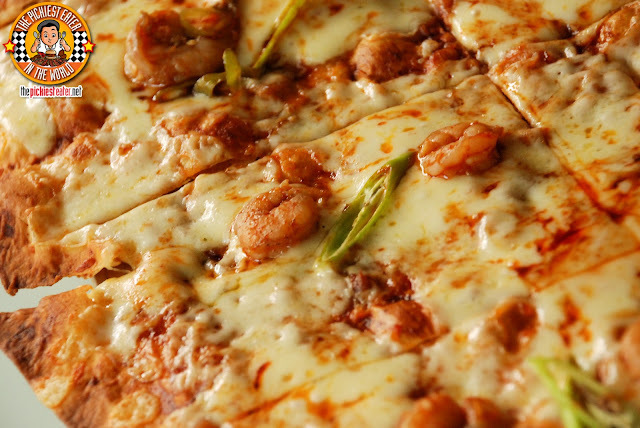 That being said, this pizza is something Richie would like considering he doesn’t eat shrimp in any form except tempura. 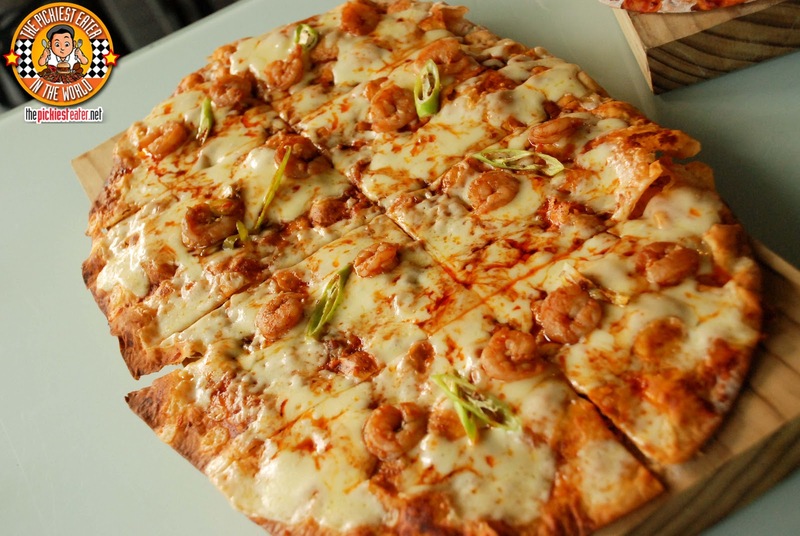 The shrimps are sautéed in chipotle garlic olive oil, on top of a crispy pizza dough and mozzarella cheese. Two words: Salmon and Truffle. It’s like this was made for me! 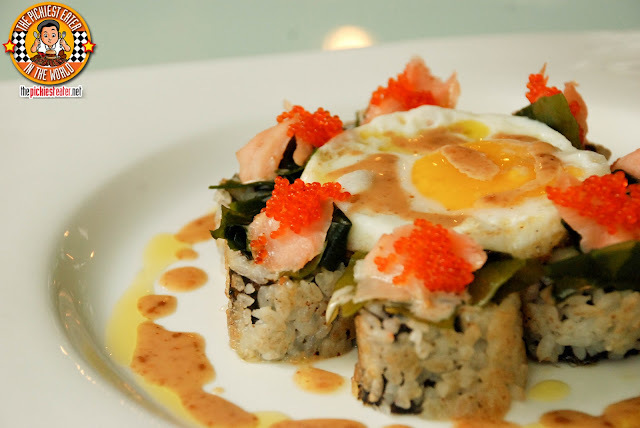 The Smoked Salmon Truffle Sushi (P449.95) is a hand-rolled sushi with mango, cucumber, and kani, then topped with wakame and smoked salmon, and then crowned with delicious white truffle oil. I really love the fragrance of truffle oil! I could stuff my face with a lot of these! Yet another genius sushi! The Volcano Roll(P369.95) is basically a plate of gooey sushi goodness! 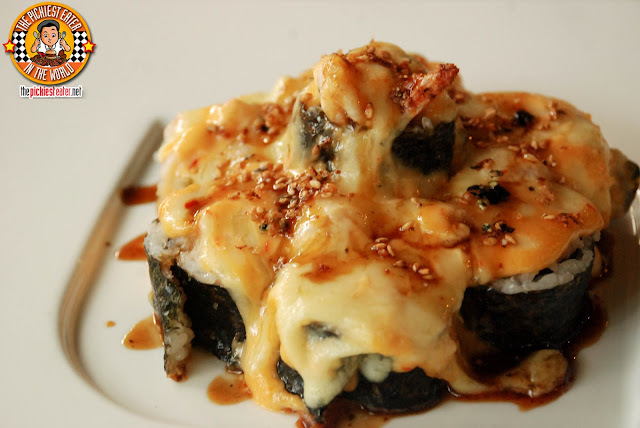 For me it’s like the All-Stars playing in one roll of stadium: tempura, tamago, Japanese cucumber, topped with spice-baked U.S. scallops. 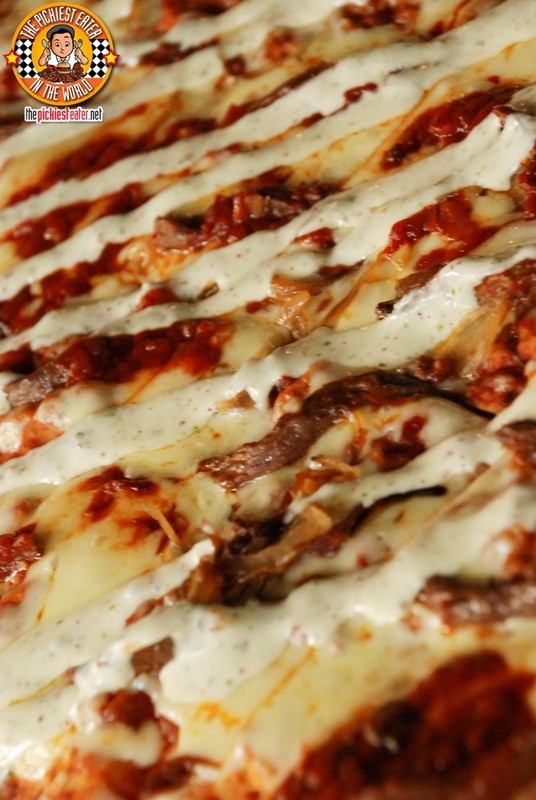 All of these baked together to perfection! The mayo and cheese are oozing like lava! 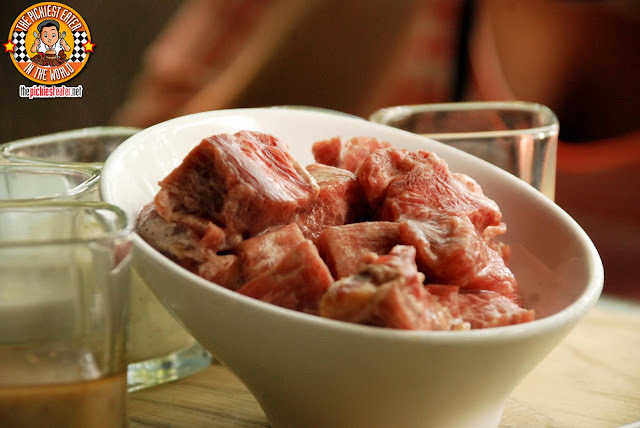 The Salpicao Medallion (P479.95) is super flavourful and super soft for a meat part that doesn’t have fat. But they made up for the fat part by wrapping the side with bacon. (Good call!!!) 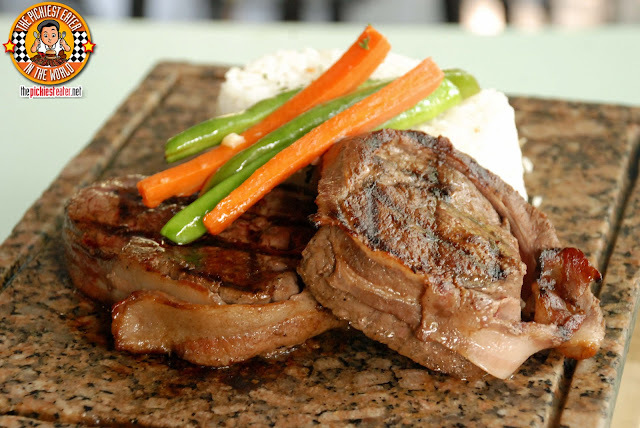 It’s medallions of Certified Angus Beef wrapped in bacon, served with garlic parsley and sautéed French beans. They’re served in a heat stone thingy with a flame on the bottom to keep it sizzling. 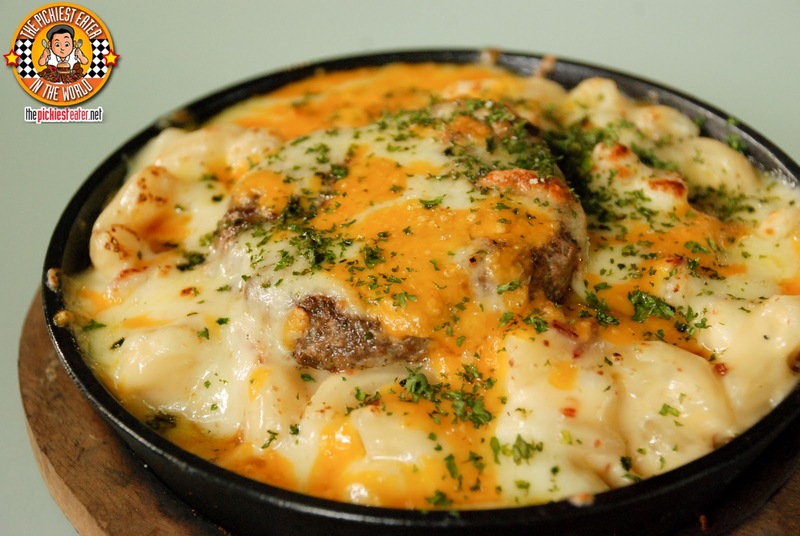 One of the most beautiful things I’ve eaten is the Burger Mac & Cheese (P334.95). 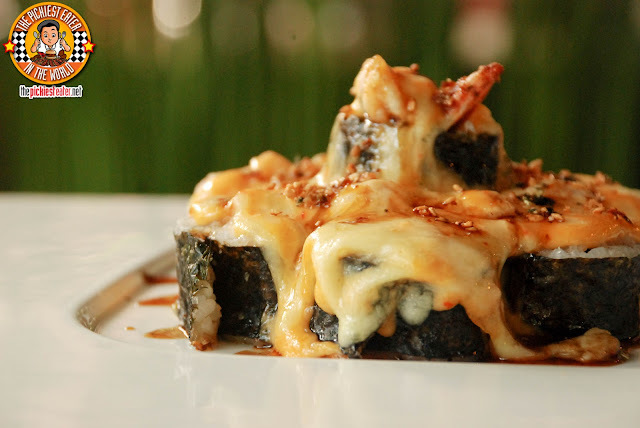 It’s beautiful not in a sense that it had a classy artsy plating, but because of all the gorgeous melted cheese! It’s a cast iron mac and cheese dish served with U.S.Angus Beef Patty. Need I say more? 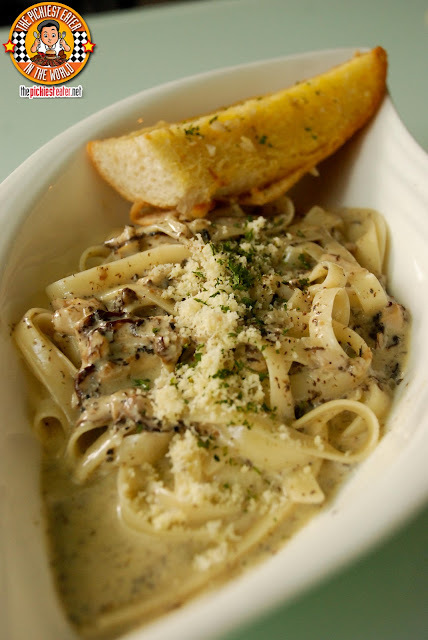 If you like creamy mushroom pastas like I do, then you will definitely enjoy this Tartufo Pasta(P545.95). It’s creamy truffle mushroom pasta in fettuccine. I love the fragrance of the Tartufo! Just remembering the smell makes me drool hehehe. This Bread Pudding (P149.95) is the perfect comfort dessert! It’s not too sweet which makes it addicting for me! It’s just right. It’s hard to stop popping it in your mouth hehe. I have saved the best for last. 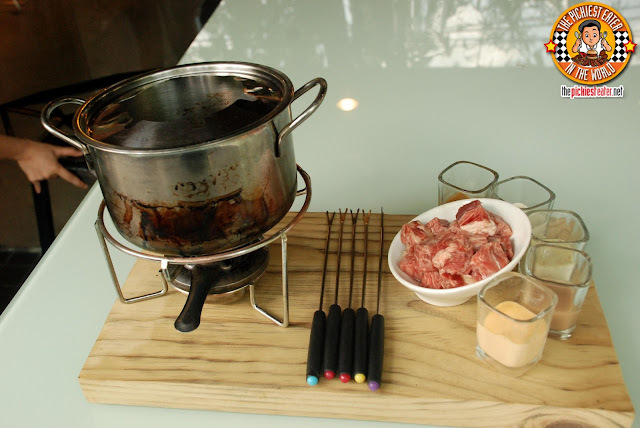 Presenting the Steak Fondue!!!! It seems like the Steak Fondue (P879.95) was the star of the night for everyone else. I agree it was good. But I guess I was too full from all the others so I didn’t get to eat a lot of it. It truly does melt in your mouth! It’s Rib-eye Meltique Beef that you cook just the way you like it in the pot with hot oil provided. 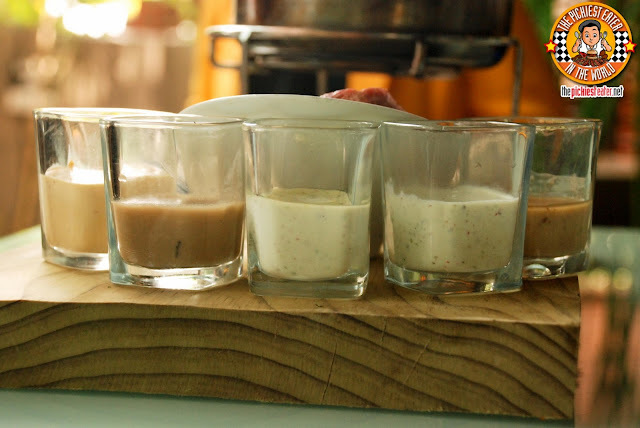 The Steak Fondue comes with 5 awesome sauces: red wine, tartufo, Torch dressing, habanero, and sesame goma dressing. Don’t ask me why it’s called goma. But I’m pretty sure it’s not made out of rubber (Or Richard Gomez hahaha labo!) I was only able to try the tartufo and the Torch dressing. I liked the tartufo better. So that ends my wonderful Torch experience! Next time you’re in Greenhills area, I definitely would recommend this place! Would love to go back here with Richie! Oh yeah that steak fondue! Those are great stuff!